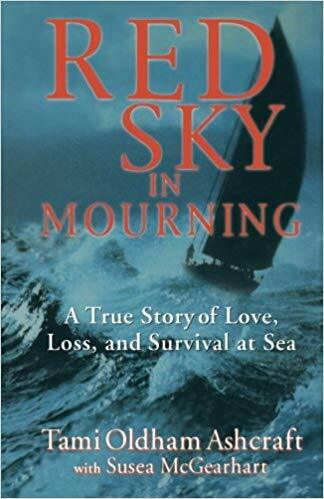 In the audiobook version of Red Sky in Mourning, sailor and author Ashcraft recounts the story of her 41-day ordeal, adrift in the Pacific on a badly damaged sailboat. 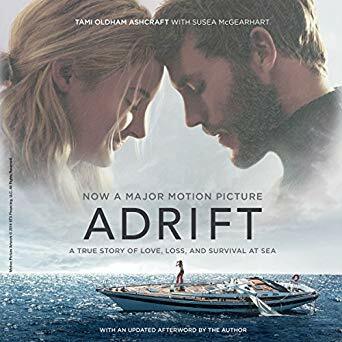 The luxury craft that she and her fiancé were to deliver to its owners in San Diego is battered when overtaken by a category four hurricane, and during the storm her fiancé is lost at sea. With main mast broken and electronics rendered useless, she is forced to rely on her essential knowledge of navigation and use of a sextant. Her narrative successfully captures how her sense of loss competes with her sailing skills and survival instinct.